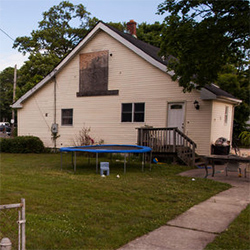 KeyMe Could Make Break-Ins a Snap! 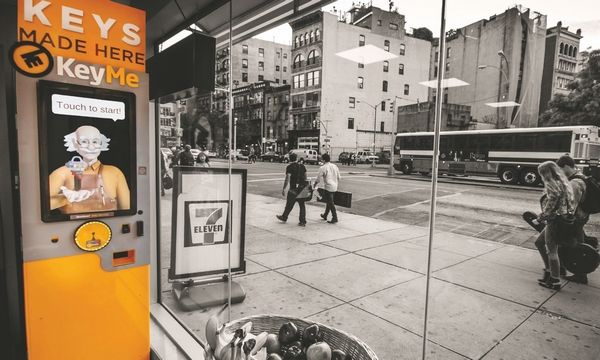 Last week learned 7-Eleven has apparently “won” the hearts of 8 million New Yorkers by outfitting 4 of their 37 Manhattan locations with KeyMe kiosks. If you’re like us, you’re probably wondering WTF is KeyMe? KeyMe is an 18-month old tech startup based in Long Island City that lets people get keys copied at one of their convenient kiosks. 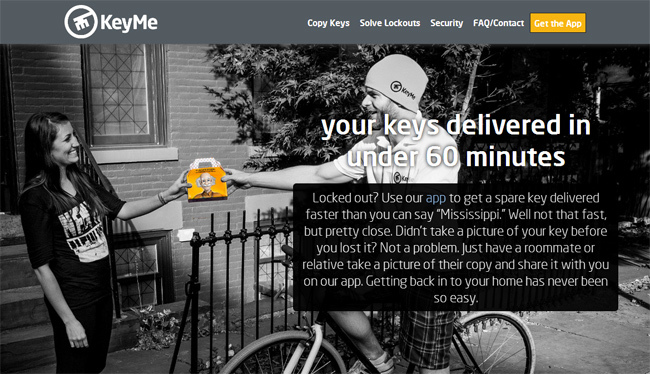 People can also use the handy KeyMe app to get copies of keys mailed to them. According to the KeyMe website, all one needs to do to obtain a copy of a key is simply remove it from its key ring and photograph both sides of the key against a white sheet of paper and upload. Yes, they are implying that their service is safe because the key has to be removed from the ring before being photographed and uploaded. Somewhere, the writers of Criminal Minds are salivating. We’ll save the editorial on local laws catching up with disruptive technologies like KeyMe and Airbnb for another post, but this is a perfect example of 7-Eleven missing the mark on trying to integrate themselves into the neighborhood. Once again, 7-Eleven is offering a service we already have at our existing local home and hardware stores. With the recent news of Target, Neiman Marcus, Microsoft, Skype and Snapchat all being hacked, why on earth would anyone trust their credit card information, home address and a digital copy of their apartment key to a startup company whose idea of bullet-proof security is a white sheet of paper? Categories: 7-Eleven Manhattan Locations | Tags: Airbnb, Disruptive Technology, KeyMe | Permalink. Once again, this is less about what the neighborhood wants or needs and more about 7-Eleven remaining competitive in their market with irrelevant bells and whistles. It didn’t work for Blockbuster when they turned their stores into bargain bazaars of movie related junk instead offering the streaming services people really wanted. It didn’t work for Blackberry when they ignored their customers requests for a touchscreen. Likewise, offering a key copying service won’t save 7-Eleven in NYC. Oh, and of the 37 Manhattan locations, there are a mere four 7-Elevens that have the KeyMe kiosks yet the trade rags like THE ASSOCIATION FOR CONVENIENCE & FUEL RETAILING are claiming 7-Eleven has already won over New York City with their presumptuous article NEW YORK 7-ELEVEN STORES WIN SUPPORT WITH AMENITIES. The bodegas – 7-Eleven’s main competition – work because they serve as conveniently located mini grocery stores. 7-Eleven mostly sells products that can be easily purchased at any of the other chain stores we’re inundated with like CVS, Duane Reade and Walgreens. 7-Eleven brings nothing new to the table and serves no purpose in the neighborhood. Trying to be a hardware store isn’t the answer. 7-Eleven, please go back to the highways and interstates where your business model makes sense and leave us be. Categories: 7-Eleven Manhattan Locations | Tags: #keymaster, KeyMe | Permalink.